Kai is the cutest big brother and I remember being excited to meet the new little one before he arrived. Melanie and I talked alot about how she thought Kai would be as a big brother and what the difference would be having two. I always love to hear people’s approaches. Some new Moms try to map it all out and plan for every scenario, but I remember Melanie just going with the flow. She seemed peaceful, and happy, and probably a bit tired…but if she was stressed, you’d never know it! Melanie’s maternity session took place on a chilly March day, but we lucked out without any rain…and a happy two year old! Kai, their oldest, is really one of the cutest kids I’ve ever met - he’s sometimes a little shy in the beginning but he warms up quickly and has the best smiles. (Mom and Dad seem to know all of the good jokes!)…. I really love his little nose squinches and silliness! Mom and Dad saved the ultrasound photos with one of their own ;) I think Kai was just below them making funny noises, so they did a great job not getting distracted! Melanie and Mike’s family added their newest member in May - another boy! It’s been fun to catch up with them a few times since then to see them grow…and to watch Kai become an amazing big brother! I can’t wait to see you again in a few months for One Year old photos! 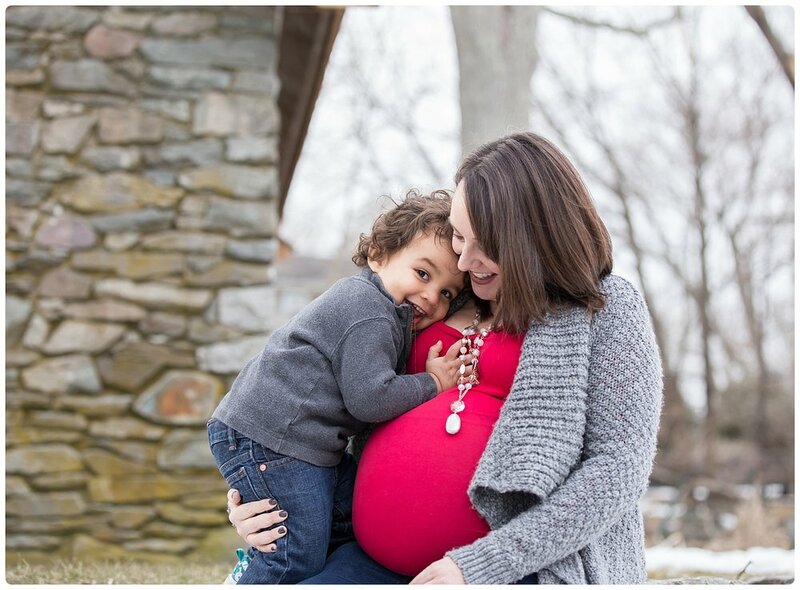 Are you interested in your own Maternity session? Email me or click here to see more photos and session details!